Pigging operations are generally recognized as highly dangerous and even deadly. Operators can get in contact with dangerous gasses, often under high pressure. Netherlocks valve interlocks avoid human error and subsequently, dangerous incidents. The Netherlocks Closure Lock, as part of a valve interlock sequence, prevents opening the door in case it is not safe. All critical valves can only be operated when the closure is fully closed and locked. Many different sequence options exist for a wide variety of pigging operations. With many years of experience Netherlocks can thoroughly advice and design valve interlock solutions for all pigging operations. Our experienced engineers know how to install Netherlocks interlocks in the most practical and effective way. 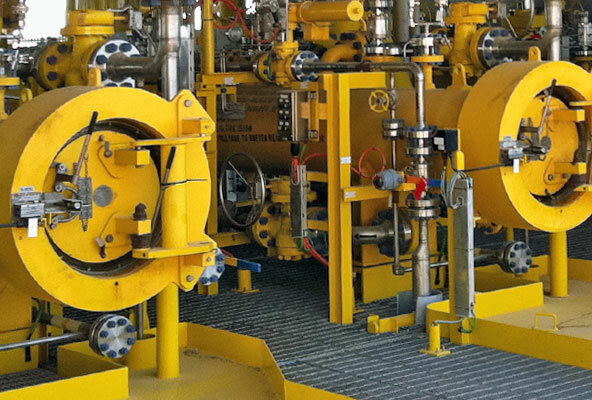 Especially for pigging operations, integrating the characteristics of purely mechanical valve interlocks into new electronically powered solutions for control and safety can create a higher overall process safety level.